and we are going back to the Moon! I had an awesome night at the U.S. Space & Rocket Center (USSRC) here in the Rocket City Thursday night. It was an incredible experience to be having dinner underneath this behemoth moon rocket known as the Saturn V. Incredible! We were at a special awards ceremony honoring Dr. Georg von Tiesenhausen, 96, an original German rocket scientist, NASA engineer on the Saturn V and lifelong educator. He received the Center’s Lifetime Achievement Award for Education from Neil Armstrong! How cool is that? This was a very rare and cool experience for all of us here in Huntsville and Alabama. Dynetics and the Rocket City Space Pioneers sponsored the event and had a great opportunity to share our Google Prize entry with the local space community. Governor Robert Bentley, just recently sworn into office, was there, celebrating his birthday on this momentous occasion. He had great things to say about the USSRC and was looking forward to continuing to support the facility. I have to agree that the Center is amazing, and it is one of the centerpieces of Huntsville and the state. The evening was inspirational. We are truly grateful to these space heroes who paved the way for what we are doing today! Inspiring young people to dream and go after their dreams is so important. The Google Lunar X PRIZE gives us a venue to inspire and educate. I’m excited about the opportunity to visit a local Boys and Girls Club next week to talk about our mission and to have some fun. I will be talking to the kids about our mission to the moon and firing a rocket engine. I will also show them the prototype lander that students at the Huntsville Center for Technology built as an example of what students just like them can do. I want to let these young people know it doesn’t always take a lot of money – just imagination, dreams and some work to make something fly. I also want them to get excited about a Huntsville team building a lander and rover to go to the moon. I want to remind them that with ambition and hard work, dreams can become reality. Thanks to the X PRIZE Foundation for inspiring us to dream and achieve! 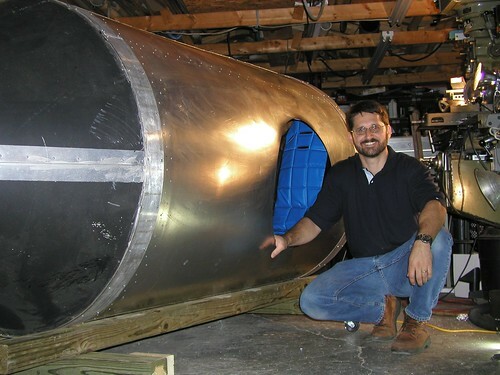 I am looking forward to sharing with the kids about my home projects such as my rocket bike and jet-powered scooter that I just might try to demo. Boy, is it loud and cool! It runs on kerosene and is a real jet engine that can push the scooter at speeds up to 30 mph. I demonstrated my scooter at Dynetics’ recent FASTSAT Launch Party, and “kids” of all ages had a blast. The kids always get a kick out of anything that makes noise, fire, smoke, and looks like stuff that they have at home, like bikes and scooters. Relating to these students is important to me, and that is a huge part of challenging them to dream and build. I am a product of the local school system, including two years of tech school in the 11th and 12th grades. It is clear to me that you can do anything you put your mind to, and I want to make sure the kids leave with a sense of wonder and inspiration to stay focused and chase their dreams. I sure hope the weather cooperates! We’ll post some videos of our visit to the Boys and Girls Club. Friday night, November 19th, at Dynetics was amazing! Our first satellite, known as FASTSAT (Fast, Affordable Science and Technology Satellite), was launched aboard a Minotaur IV rocket. FASTSAT was developed in-house with NASA and the Von Braun Center for Science and Innovation (VCSI), also one of the Rocket City Space Pioneers, as partners. The launch occurred at 7:25 p.m. CST from Kodiak Launch Complex on Kodiak Island, Alaska. FASTSAT separated from the Minotaur IV rocket approximately 22 minutes after launch, entering low-Earth orbit 406 miles above Earth and immediately began powering up the spacecraft. 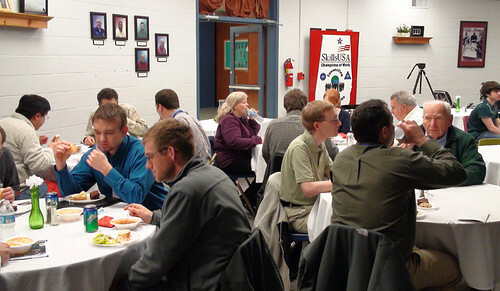 To celebrate the launch, Dynetics employees had a huge launch party with plenty of good Mexican food. We had some down time between launch and waiting to hear the satellite wake up. I got to entertain the crowd with my TEDx talk on “Re-energizing Space through Innovation,” and even got to fire up my jet scooter in the parking lot. Boy was it loud! We kids loved it! I also let the kids help me fly my R/C electric helicopter indoors with my IPhone. It is really cool – it uses the gyros and accels in the phone to control the helicopter via wifi. The onboard video camera allows you to get a bird’s-eye view from the helicopter while in flight. That video is streamed to my IPhone, which is also used to control the helicopter. It is really cool. The kids had a ball with that one. All and all, it was an amazing night of fun at Dynetics. I am sure our office party rocked it more than any other gig in Huntsville on a Friday night. Gotta love the Rocket City! Today was a real special event for me and the Rocket City Space Pioneers (RCSP). I returned to the Huntsville Center for Technology (HCT), my old stomping grounds from high school where back in 1981 and 1982, I attended tech school. It was cool then – and even cooler today. I had come back not to go to school, but to unite with my brothers on a very special project. After revisiting the school a few weeks ago, I was impressed and hooked! After seeing the amazing projects they designed and built like hover crafts, battle ships, NASA hardware, and even moon buggies that students routinely beat out major colleges like MIT with, I knew I needed these guys as partners to help us win our Google X PRIZE! We had an awesome day of cool students, live rocket engine testing, robots, and a whole lot of people enjoying a fun day at the Tech Center! Thanks to Dave Hewitt from Dynetics who fired “the little engine that could” after a couple of tries. We had the mayor of Huntsville speak on the importance of technology and real hands on-engineering and building. And he pushed the button on one of our rockets! We also had Dr. Ann Roy Moore speak about what makes the HCT the great school it is. We had our team members joining us from Teledyne Brown Engineering, Draper Laboratory, the Von Braun Center for Science & Innovation (VCSI), and UAHuntsville. Tom Baumbach, Dynetics president, and Dr. Marc Bendickson, CEO, also came out. Thanks to the team at HCT who helped with the activities; and Janet Felts, Public Outreach Liaison for RCSP, and Joy Dukimineer, the counselor at HCT, for doing such a great job coordinating this event. I could not say enough about how honored I was to be back and actually working a project that will carry our generation to the moon. These students and faculty are amazing and second to none. They presented us with an incredible prototype of our lander! We are so excited about the momentum of this hardware rich team we are building. Huntsville is an amazing place to launch a team project to the moon! Welcome aboard, HCT, and thanks for your support, Huntsville! The Rocket City Space Pioneers are inviting you to “Catch a Ride on Our Mission.” Spaceflight Services, RCSP team member, is selling small payloads to Geosynchronous Transfer Orbit (GTO) and Low Lunar Orbit (LLO). Spaceflight, as part of the Rocket City Space Pioneer Google Lunar X-Prize Team, is responsible for mission integration and providing space transportation services to Low Lunar Orbit. Spaceflight is providing flight opportunities for ESPA class spacecraft (spacecraft weighing less than 180 kg) interested in launch services to GTO and LLO. Spaceflight, as part of the RCSP team, is responsible for mission integration and providing space transportation services to LLO. Spaceflight is providing flight opportunities for ESPA class spacecraft interested in launch services to GTO and LLO. The proposed mission will deploy three ESPA payloads into a Geosynchronous Transfer Orbit and two additional payloads in a Low Lunar Orbit. The mission is also open to smaller spacecraft looking for a low cost ride to either of these destinations. The Rocket City Space Pioneers are excited about all the interest we are receiving in this competition! Huntsville, home of the Rocket City Space Pioneers, is known as “The Rocket City” for its impact on space exploration. Huntsville has been developing important space technologies since the 1950s when the German scientists headed by Dr. Wernher von Braun, brought to the United States at the end of World War II, arrived to develop rocketry for the U.S. Army. Huntsville lofted the first satellite into orbit – Explorer I – in 1958. That’s where “Alabama Explorer II,” the name Alabama Governor Bob Riley offered us $1 million to name our lunar lander, came from. Huntsville is home to Redstone Arsenal and NASA’s Marshall Space Flight Center, where the Saturn V used by the Apollo program manned Moon missions was developed. Huntsville continues to play a vital role in space exploration. We are pumped about igniting a spark in this community that has such a strong space heritage with our Race to the Moon. Companies, individuals, schools and other organizations are contacting us to find out how they can be a part of our Race to the Moon. 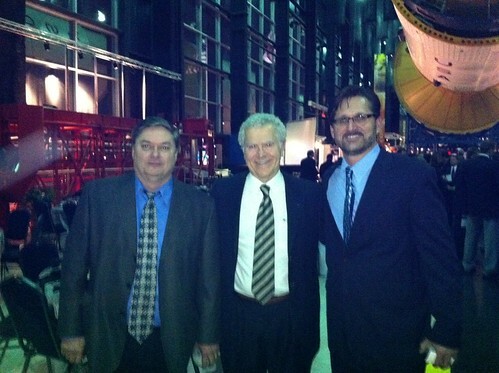 Homer Hickam, the “Rocket Boy,” spoke at our media event announcing our entry into the competition. He is the author of “Rocket Boys/October Sky” and several other books. His latest is “My Dream of Stars,” the memoir of space-flyer Anousheh Ansari who funded the $10 million for the Ansari XPRIZE. We are looking forward to finding out more about the other teams at the Isle of Man Summit! The Rocket City Space Pioneers have generated a lot of excitement in Huntsville and Alabama! We’re pumped about being in this race! We announced our entry into the Google X PRIZE competition with a news conference at Dynetics’ corporate headquarters. Governor Bob Riley praised our efforts and offered the Space Pioneers $1 million to name the team’s lander the Alabama Explorer II. 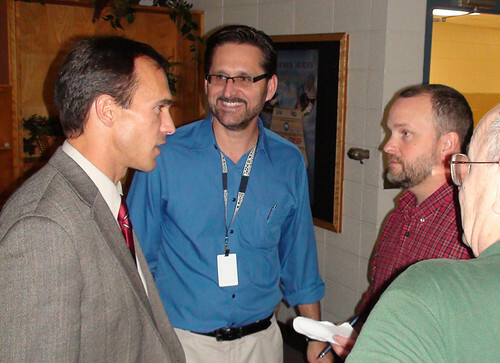 All the Huntsville television stations gave the announcement heavy coverage, and The Huntsville Times newspaper gave the story top billing in the next day’s paper. 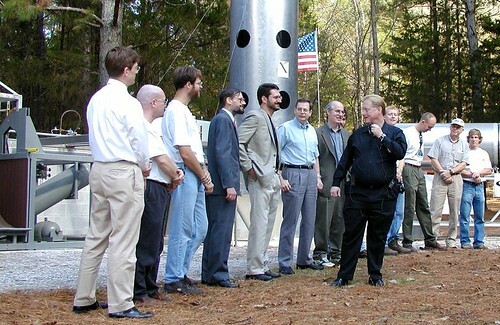 CNN even mentioned the Rocket City Space Pioneers on air an online this week. We’ve had interest from other companies, educational institutions, and individuals to join our team. I’m looking forward to meeting some of the other team members at the Isle of Man Summit! 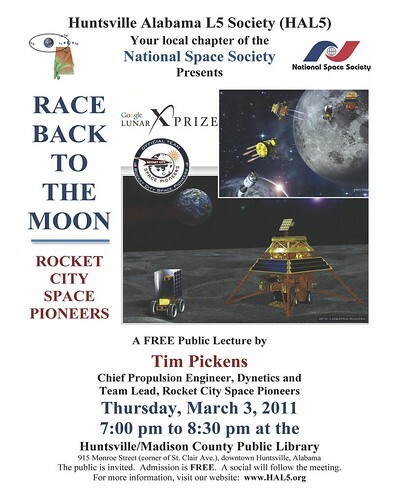 Tue, 09/07/2010 – 19:00 — Tim Pickens RCSP team leader. 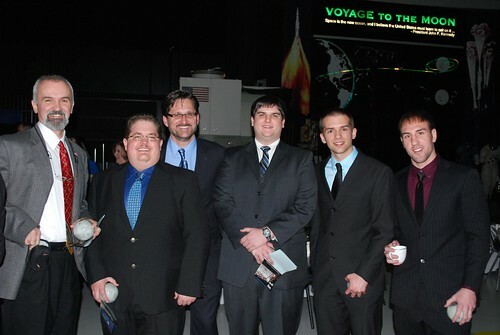 Welcome to the Rocket City Space Pioneers Team blog. We are a Huntsville, Alabama-based team, and our team is comprised of several private businesses, an educational institution and two non-profit organizations. We are excited to enter the GLXP competition! We are ready to go back to the moon . . . with new technology and innovation at an affordable cost. We’re ready for the race! We may be a late comer, but we will be ready to win this race!